A Leicester man through and through, Louis earned his benefit year in 2012/13 after recovering from an injury which had kept him out of the final weeks of the previous season. The committed second-rower had previously overcome injury woes to cement his place in the England squad for the 2011 Rugby World Cup after his best-ever season in the national shirt. Often an unsung hero, Louis, who made his debut for England against Samoa in 2005, was instrumental in England's Six Nations title win in 2011; he also made the 200th start of his Tigers career in the win over Treviso at Welford Road in the same year. Players' Player of the Season in 2003/04 and again in 2007/08, he has played in five Premiership finals. 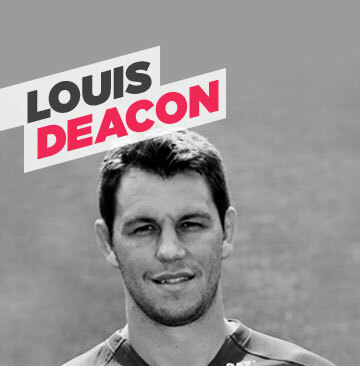 Louis has also been involved in two Heineken Cup Finals with Leicester and played in all three finals – Premiership, Anglo-Welsh and European – in the 2006/07 season. Louis is honoured to be an Ambassador of the Foundation and is an active supporter of our work.